Announcing the 2018 Cloud Room SIS Winners! The Cloud Room is proud to announce the winners of our first ever Social Innovation Scholarship! The Cloud Room has always recognized that rising social inequality and displacement drives out the artists, creators and independent non-profits whose energy and voices are necessary to combat the urgent challenges that Seattle faces. Rapid growth has created much opportunity for some but not for many others, so we are doubling down and expanding our reach in 2018 to include emerging leaders in community organizing, social justice, gender equity, and technology dedicated to bettering Seattle's present and future. We recognize that we can’t do this alone and so The Social Innovation Scholarship deepens our commitment to co create a diverse and thriving membership community together with our city that will help to make Seattle a better place for all. In launching the Social Innovation Scholarship, The Cloud Room intends to provide a home and incubation for three projects that we are inspired by because they have great potential to make an impact on Seattle in these critical areas. Over the course of a year, recipients will have full access to our community, programming, and support from our incredible member networks. Scholarship recipients will be encouraged and empowered to grow their network at The Cloud Room to better amplify their work and impact the communities they serve. Abel leads the legislative and fundraising strategies for the Washington MESA program at the University of Washington. Washington MESA (Mathematics Engineering Science Achievement) was established by state statute in 1984 to focus on increasing the number of historically underrepresented populations in STEM (Science, Technology, Engineering, Mathematics) fields; i.e. African-American, Latino, Native American, and women. The program currently has 18 centers across the state focused on increasing the academic achievement of students and ensuring their success in STEM fields. In the Fall of 2018 students of color will be become the majority in Washington State public schools, thus increasing the importance and need of the MESA program. The scholarship of the Cloud Room will allow Abel and his colleagues at Washington MESA to leverage the professional network of the Cloud Room to enhance program messaging, volunteerism, and awareness efforts of the need to diversify the STEM professions. Given the timing of the Cloud Room Scholarship and Washington MESA’s mission, the collective partnership has an opportunity to inspire a new and more diverse generation of STEM professionals in Washington State. Abel holds bachelors in political science/business administration from California State University, Northridge, as well as a graduate degree from the University of Washington’s Evans School of Public Policy and Governance. Abel completed his graduate school fellowship at The Seattle Foundation and currently serves on United Way of King County’s Emerging Leaders board. 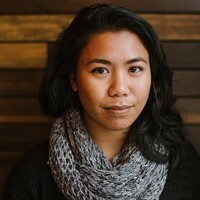 Jovelle Tamayo is an independent photo and video journalist who was born in Olongapo City, Philippines, raised in New Jersey and now based in South Seattle. She is a founding member of the Authority Collective — a group of womxn, femmes, non-binary, trans and gender non-conforming people of color working to reclaim their authority in photography, film and VR/AR. The Authority Collective’s mission is to empower marginalized artists with resources and community, and take action against systemic and individual abuses in the world of visual media. But undoing centuries of abuse is not easy and will take real effort. The Authority Collective will collaborate with individuals and organizations who share a vision of shifting the power dynamic in media, so the stories we tell more accurately represent the diversity of our world. True allyship means moving past merely recognizing privilege and voicing support. The Authority Collective asks colleagues to commit to anti-oppressive practices in professional and personal settings, and to uplift visual artists of color through mentorship, funding, jobs and leadership roles. The Authority Collective’s members are based all over the country — from Los Angeles to New York City. As a founding member based in Seattle, Jovelle hopes to leverage her local connections to benefit visual artists of color working in our region, and help facilitate collaborations between different organizations with the shared goal of building a more equitable industry. Diane is the founder of Vibrant Palette, an organization that aims to serve adults with developmental, mental, and physical disabilities by providing a day program in a professional studio environment with a focus on learning about and creating visual arts.